Needing to furnish my new apartment, I set out to find a way to build some of it by hand from reclaimed sources. The end result was at least one piece of furniture that I plan to never part with — for about $45. Read on for details and links to get started on your own projects. Plans — The first thing I needed was a set of plans. These are readily available on the Internet, some for a price, some for free. One of the best resources is Ana White’s Plan Catalog, which lets users search her database of plans by project type. 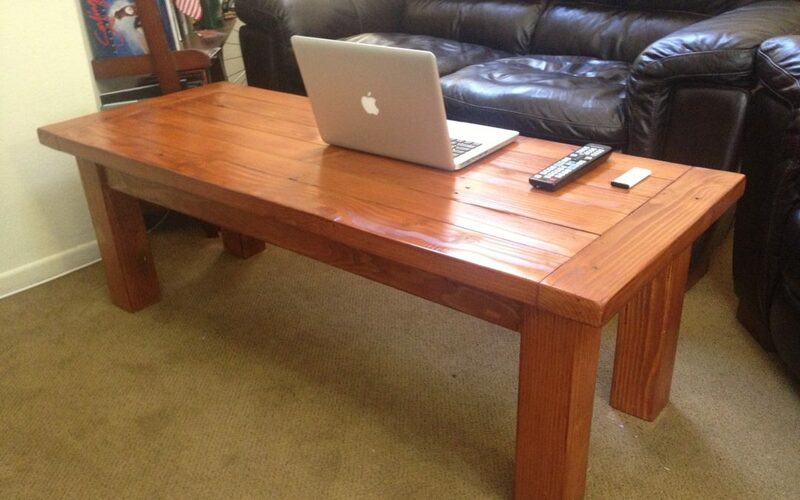 Needing a coffee table, I picked plans for the Tryde Coffee Table (w/ pocket holes). 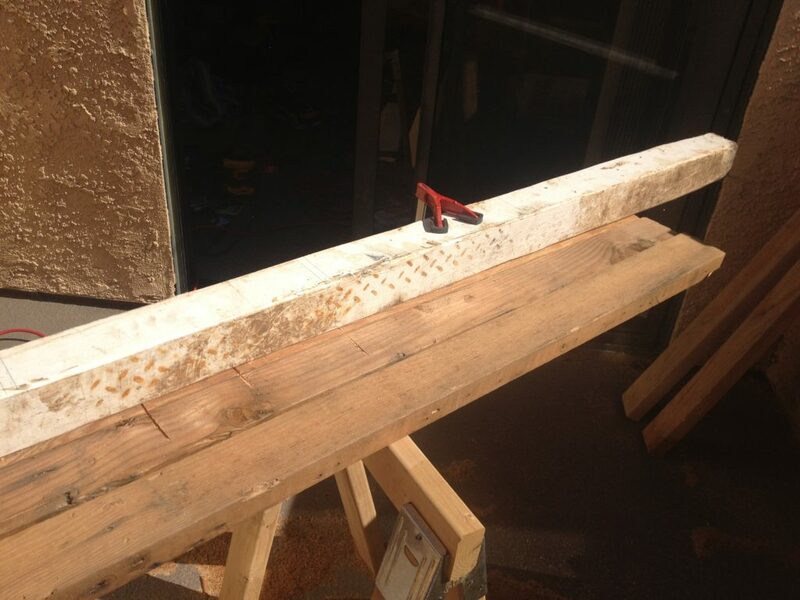 Materials — The next hurdle is finding reclaimed wood. For my project, I purchased wood from The ReUse People of America, which has locations across the country. The ReUse People deconstruct homes and resell the materials they reclaim from the projects — which includes wood, bricks, doors, windows, sinks, etc. The wood I bought came from homes deconstructed around LA. 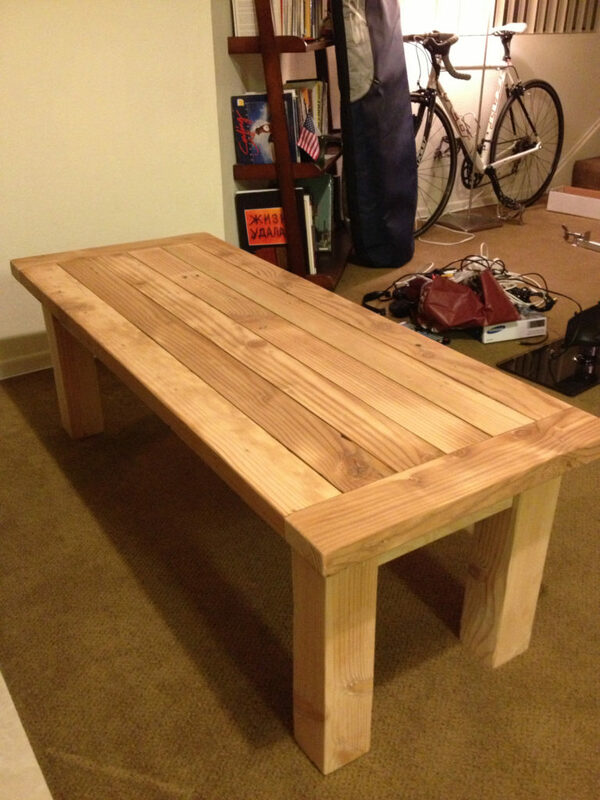 The ReUse People can be a great option for getting reclaimed wood, but there are some caveats. First, most of the wood they resell comes in huge bundles for commercial customers, but some wood is available a la carte. My sense is that the wood available by individual piece is really just scraps from what doesn’t end up in the bundles of wood. Sometimes the selection is good; other times it’s not. Also, bear in mind that this is reclaimed wood, and it is not going to be in perfect condition. A lot of it is warped or cracked, so you have to be picky about finding pieces that will work for your project. Another option — which I have not yet had a chance to check out — is reclaimed wood from Resource Conservation Group. 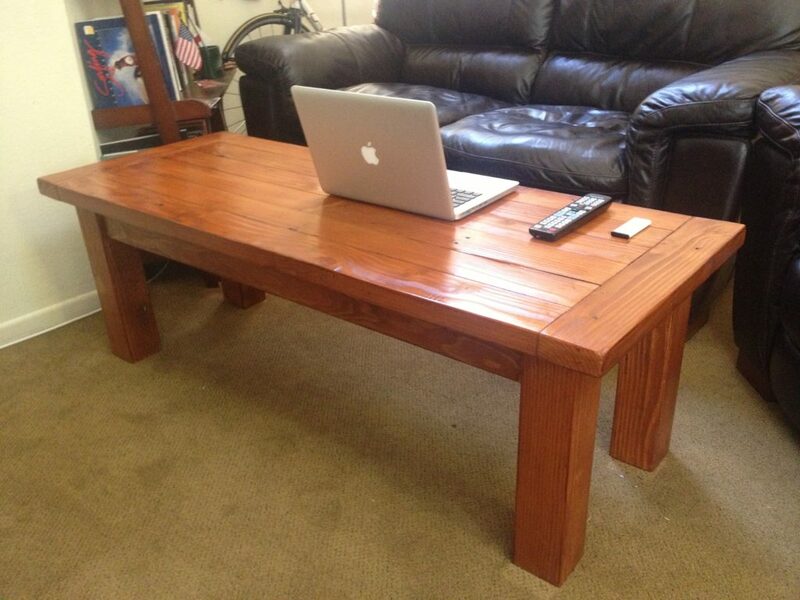 The photos on their website imply they have better quality and selection of individual pieces of wood. I’d say they’re worth a shot. The Rest — Once you have your wood, it’s a matter of building your project, which I won’t go into great detail here because it’s only applicable to this particular table. All I’ll note is that I had some unexpected expenses in new tools, most notably a pair of large vices and a Kreg Jig. Once I sawed, drilled, and sanded, it was time to stain it. Before selecting your stain, check out the U.S. Green Building Council’s Green Home Guide, which details the pros and cons of each type of stain. I wish I had kept better records detailing the final cost of the table, but it was somewhere around $15 for the wood, $10 for the stain, and $10 for the screws, and $10 for sand paper.